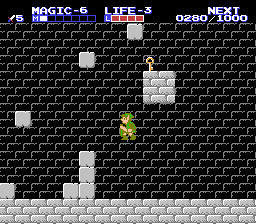 FDS Zelda II: The Adventure of Link (FDS) "no zipping, no unintended exits" in 53:58.62 by Arc. Here is the Famicom Disk System version of Zelda II (known as "The Legend of Zelda 2 - Link no Bouken" in Japan) beaten fast by Arc. It is 5:24 faster than the previous version by Boco. The Japanese version was played because the USA version causes an error in Famtasia. The versions are generally the same, but there are some differences — most noticeably seen in the leveling systems and the load screens. We recommend reading the author's annotation of this movie. Despite its length and being made with Famtasia, the author considers this movie to be his best one. Note: Famtasia emulates the sound of this game incorrectly in some places.